Patty has over 30 years of experience in partnering with organizations in the delivery of effective and measurable solutions to a variety of leadership development issues. She has assisted a broad base of client companies, both locally and nationally in both the profit and not-for-profit sectors, in growing, developing, and retaining their high potential leadership talent. As a corporate executive with a multibillion dollar global organization for 12 years, followed by 20+ years as the head of a highly regarded career and leadership development firm, Patty has both experienced and understands many of the challenges and opportunities facing organizations and their key leaders today. Her expertise lies in an ability to assist leaders and teams in understanding themselves, the impact they have within their organizations and on others, opportunities for growth and enhanced leadership effectiveness, and action planning to meet both professional and personal goals. Her approach is collaborative and focuses on helping individuals build upon the strengths, skills and experiences that have contributed to their current success, while identifying opportunities and tools to help them significantly raise their leadership capital within the organizations they serve. 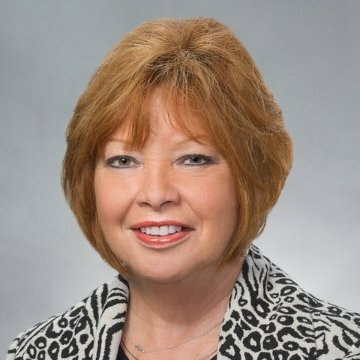 Patty is a recognized and active leader in the Indianapolis business community, sitting on a variety of for-profit and not-for-profit boards and is the immediate Past Chair of the Indiana Chamber of Commerce. She believes strongly in the concept of “paying it forward” and that leaders have a responsibility to be role models and strong stewards in their communities. Patty has a B.S. in Education from the University of Kentucky, as well as numerous post-graduate hours in career management and professional and leadership development. She is a Certified Integrity Coach and a graduate of the Marshall Goldsmith Leadership Development and Executive Coaching Academy. She is certified in numerous leadership assessment and developmental tools that she uses to both diagnose situations and create effective and measurable action plans.